In photos: Dressed to impress - Happy Penguin Awareness Day! Sub-zero temperatures, snow blizzards and a land of seemingly endless ice. It takes a lot to be able to survive on the Antarctic continent, but penguins know how and they sure do it in style. So today, we celebrate these super cool animals with some super cool snaps. Recently, WWF’s Antarctic Program Lead, Chris Johnson, went on an expedition down south, braving all of the above, to take these amazing photos that show the importance of protecting this beautiful and natural landscape. Come behind-the-scenes with him as we explore the frosty homes of Antarctic penguins. Gentoo penguins are one of the few Antarctic species thriving under the rapid warming conditions in the region. Climate change means sea ice is decreasing rapidly. As a result, populations of the ice-adapted Adélie are generally declining, whereas populations of the ice-averse gentoo penguin are increasing. A skua surprises a gentoo penguin on the ice. The penguin is right to be wary as skuas feed on gentoo penguin eggs. A gentoo penguin waddles (cautiously) amongst a colony of southern elephant seals. Antarctic marine life live in one of the most extreme environments on the planet. To make matters worse, increasing pressure to grow commercial krill fishing along the Antarctic Peninsula would continue to upset the delicate natural balance. A southern giant petrel soars high in the sky. Big wingspan and a huge bill, they remind me of albatross or mollyhawks. 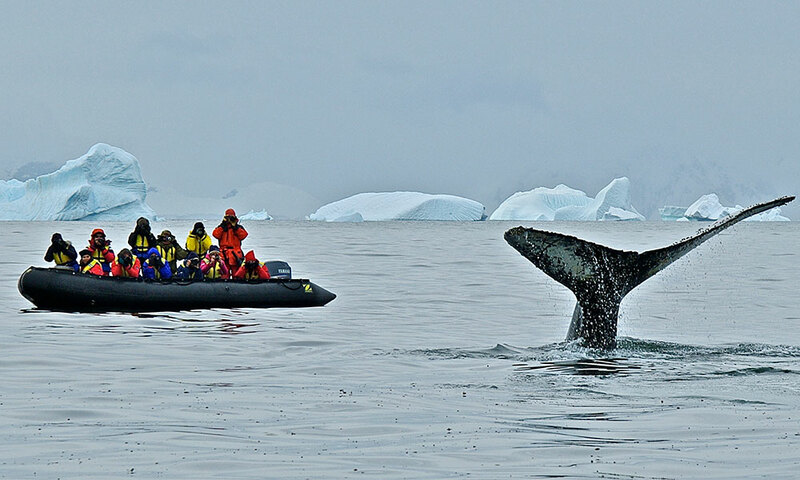 Feeding humpback whales filled Fournier Bay, Antarctica Peninsula. Weddell seals are incredibly placid, sedentary animals. I was able to approach this individual to take this photo without any apparent stress at all. Me with WWF-Australia CEO Dermot O’Gorman high above the glacier in Neko Harbour, Antarctica Peninsula. For me, there is no place like it on Earth. WWF is calling for 30% of the seas surrounding Antarctica to be protected by 2030. The Antarctic Peninsula and its amazing wildlife is under increasing pressure from climate change, krill fishing and a growing tourism industry. Antarctic icebergs come in different colours - blue, jade green, white, yellow, even striped with multicolour. Blue bergs are frozen fresh water. Made from thousands of years of snow falling on the plateau. 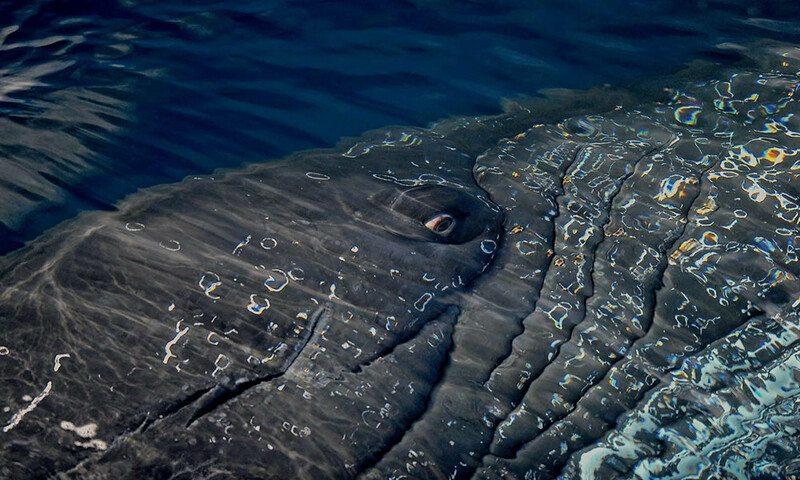 WWF is using new technologies to better understand where whales feed. Help protect these Antarctic giants before it's too late and take action. WWF is championing the expansion of marine protected areas in Antarctica and the Southern Ocean.